Selling Online Success Requires Appropriate Planning Technology and a Stellar User Experience. We Deliver it All. Selling online requires clear and compelling imagery of products, targeted promotions and nothing less than a stellar user experience. We create and present great e-commerce brands harnessing the talent and expertise of our strategic design team. To ensure that your website is secure, stable, scalable and functionally sound, Webmaster Studio develops websites employing state-of-the-art technology, design and methodology. Whether you are launching a new concept or brand, or expanding an existing brand, we can design and develop an e-commerce site that will ensure growth for years to come. Custom e-commerce websites are usually designed for complex and unique requirements. Custom code development is more secure than pre-developed. It is more secure than a pre-developed platform due to the fact that the source code is not easily accessible thereby making it difficult to reverse engineer or hack. This is particularly important when it comes to the shopping cart module, which interfaces the user with the credit card merchant provider. Pre-developed e-commerce solutions are a cost-effective approach for companies or individuals that have limited budgets and simple requirements for web development. We are here to help you determine which e-commerce system is right for you – just contact us for a free e-commerce development assessment. Have high quality images of your products. Contract with a reputable credit card merchant company that will offer a good transaction rate. If you plan on having a large inventory, we suggest that you integrate your website with one of the top shipping companies. We can implement a feature that will allow your customers to receive real-time rates from FedEx, UPS, USPS, and other freight shipping services. An e-commerce website can be as simple as a single product, with quick checkout without registration and no administration panel, or a more complex situation involving large inventories or multi-store configurations with more complex logistics. There are countless features that can be included in your e-commerce website criteria. We can review your requirements with you in order to develop a full specification for your project. Call us to arrange a meeting. 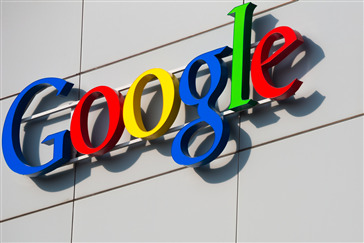 What Will Google's Buy Now Button Mean for e-commerce? Boutiques.com is a new personalized online fashion shop recently launched by Google. With Boutiques.com you can do a visual search for fashion items. If you like, you can even create your own boutique. Refresh your wardrobe with the latest styles. Start with a style and find additional items in that same fashion trendsetter’s collection.